Blessed among the Mess: I heart apple orchards! 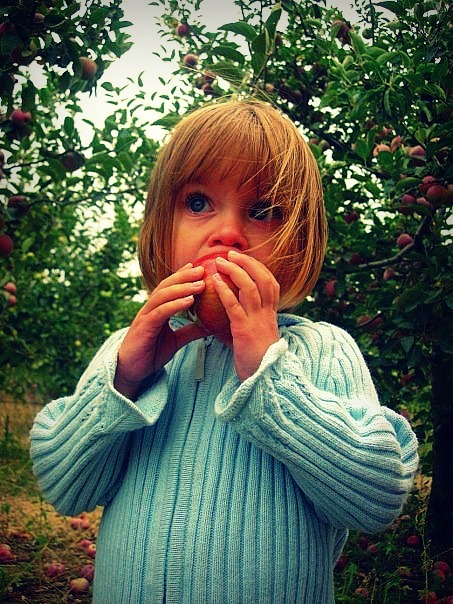 This weeks theme at I heart Faces is "In the Orchard." We haven't been to an apple orchard this year so this is a picture from our last visit. Skylar loved eating apples right from the tree. Just looking at the photos from our trip made me realize how much she has grown! Go to I Heart Faces and check out all the other "Orchard" pictures! Looks like she is enjoying it. Her eyes are almost as big as hat apple! So cute! She looks so young! Adorable. how sweet! those big blue eyes are amazing!! such a great shot! I miss the fall there! Last week they just started importing Apples from America. They are a bit mushy by the time they get here. Cute girl!